Santa Cruz, California is located within the northern coastal waters of the Monterey Bay National Marine Sanctuary – a habitat for one of the most active ocean ecosystems on the planet. This area is also home to a passionate community of people dedicated to protecting, preserving, and educating about the California coastline and cold-water marine environment. In 1996, wetsuit innovator and surfer Jack O’Neill founded the O’Neill Sea Odyssey (OSO). 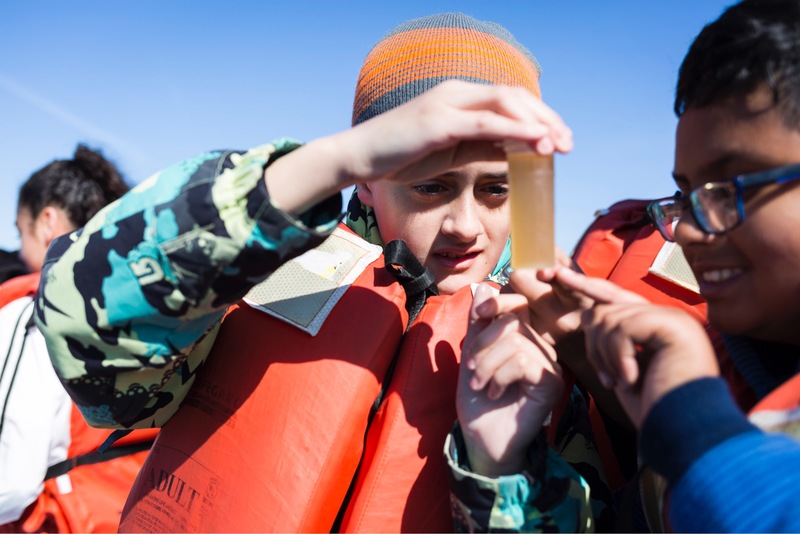 This one-of-a-kind program is conducted on board a 65-foot catamaran and is designed to give 4th-6th grade students a hands-on, land/sea learning experience of marine biology, watershed ecology, and navigation techniques. 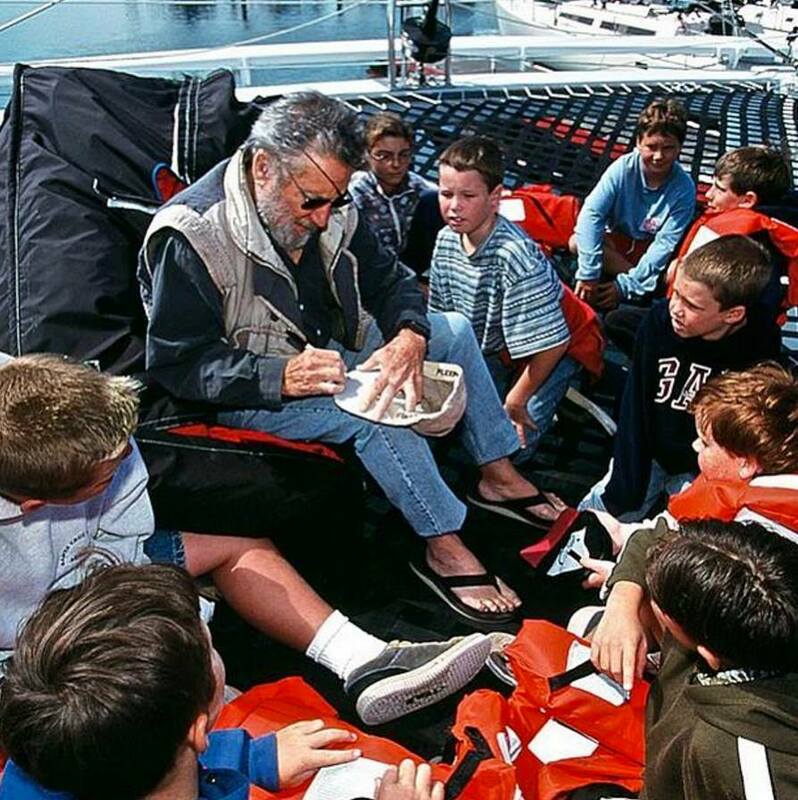 Jack O’Neill teaching aboard the sea odyssey in the late 90s. The award-winning program has had a remarkably positive impact on youth and is steering towards reaching 100,000 students in 2018. At the helm is Executive Director Dan Haifley, a recipient of the 2011 Ocean Hero Award from Save Our Shores, and a dynamic advocate for ocean conservation and environmental education throughout California. In addition to leading the OSO team, he is recognized for his work in establishing the Monterey Bay National Marine Sanctuary, promoting 26 California local ordinances regarding offshore oil, and publishing a weekly ocean column in the Santa Cruz Sentinel. In the following interview, Dan shares his perspective about the value of OSO, and how it benefits the community, surrounding ocean and beyond. Why is this environmental program important now more than ever? 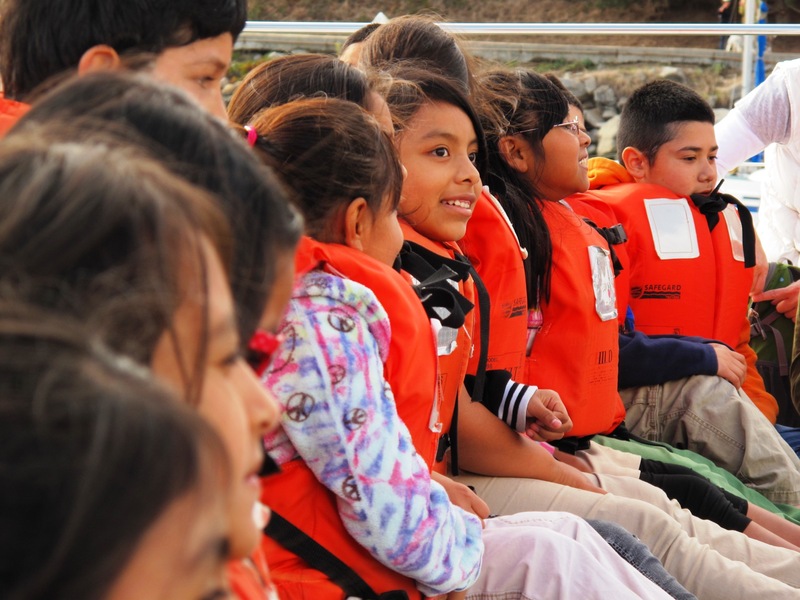 O’Neill Sea Odyssey’s program uses math and science lessons to result in environmental stewardship outcomes. The ocean covers 72% of earth’s surface, supplies half its oxygen, creates weather and is a major food source and economic engine, yet it is a sensitive, living habitat vulnerable to pollution. A recent study found that 5.25 trillion pieces of plastic inhabit the ocean. It is under greater stress as it absorbs excess carbon from the atmosphere, increasing sediment loads from rivers that flow to the ocean worldwide, and as we turn to it to help feed a growing population. Giving students the tools to think critically and solve problems such as these is a key component of what O’Neill Sea Odyssey does. 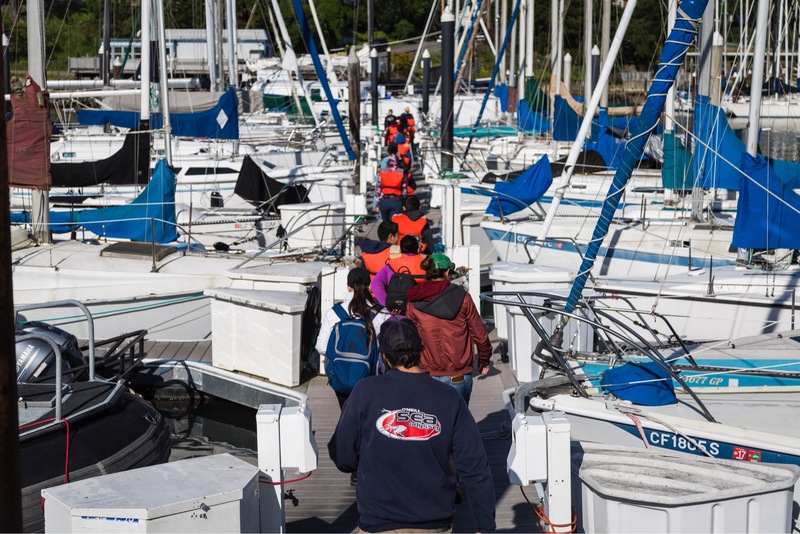 What makes traveling and learning on the Team O’Neill catamaran such a unique experience? 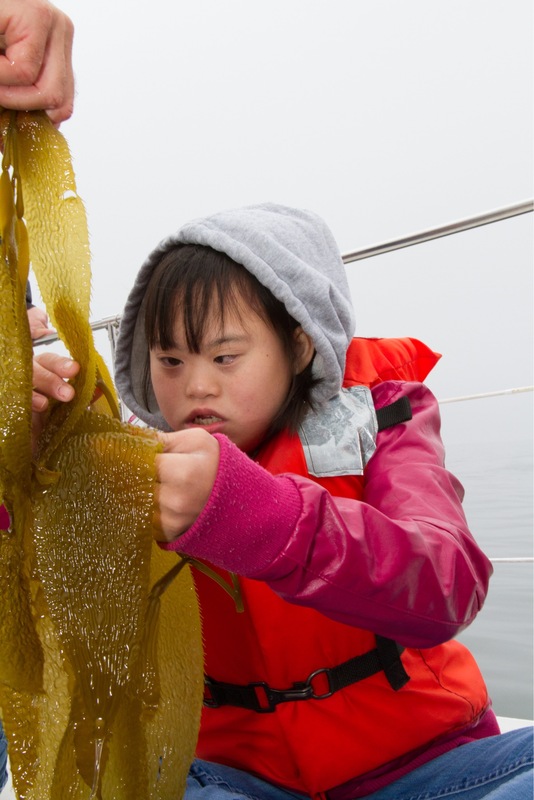 Most students who attend our program have never been on the ocean before. Being in an exciting new environment to teach students science concepts rooted in that environment has a lasting impact, which our annual outcomes analysis and a long-term study of our program confirms. Now that the program is more than 20 years old, I’m hearing from people who attended in elementary school and remember it vividly and talk about how it informs their daily professional, family, and social lives. What are some of the positive ways you’ve seen the O’Neill Sea Odyssey’s program impacting youth? What are a few of your favorite facts about the Monterey Bay ocean and marine life? I love the fact that California sea otters look like they have an easy life but, in fact, they work 24 hours a day managing the kelp forest habitat, which in turn protects our coast from erosion and absorbs excess carbon, to prevent further acidification of ocean water. So, in fact, they are working hard for us. And oh, by the way, female sea otters do raise young ones, a big job in and of itself. How do you see the Sea Odyssey program evolving in the future? We will continue to improve the curriculum, especially now since we distribute it as classroom curriculum nationally, and we get feedback from schools around the country. We’ll continue to find ways to engage inland schools, right now we have a virtual program, and we can do more. After all, all rivers and creeks and storm drains flow to the ocean, including those in Oklahoma.